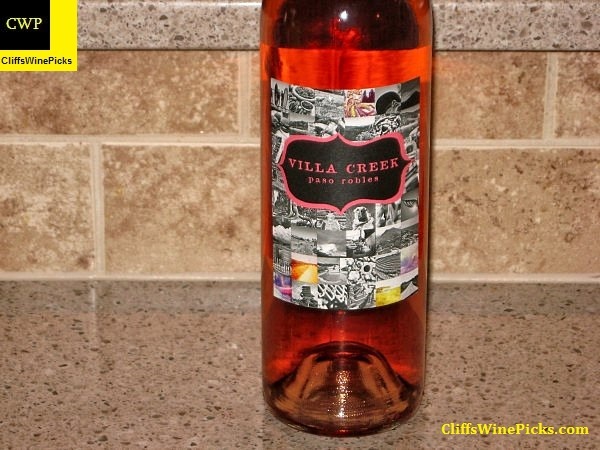 Avenger is my favorite wine being produced by Villa Creek. This vintage is a blend of 70% Syrah, 15% Mourvedre and 15% Grenache from the Luna Matta, James Berry and Denner Vineyards in Paso Robles. This was a very easy buy from Last Bottle, one of my favorite grapes, from a top notch vineyard, from one of my go-to wineries. 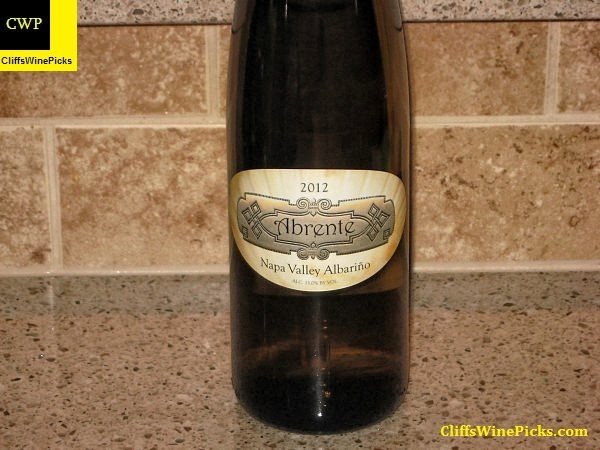 This was another “steal” from Last Bottle wines, my favorite “flash” wine site. If you use the provided link and sign up, you get an immediate $10 credit and I get a credit if/when you make a purchase. Check them out, they have awesome deals and their Marathons are always something special. This wine was not bottled in the 2009 vintage. Most of the fruit in the previous vintage was lost due to heavy rains on October 13th. The little fruit that was harvested went into the winery’s Sonoma County Syrah. Thankfully the vineyard rebounded for the 2010 vintage. 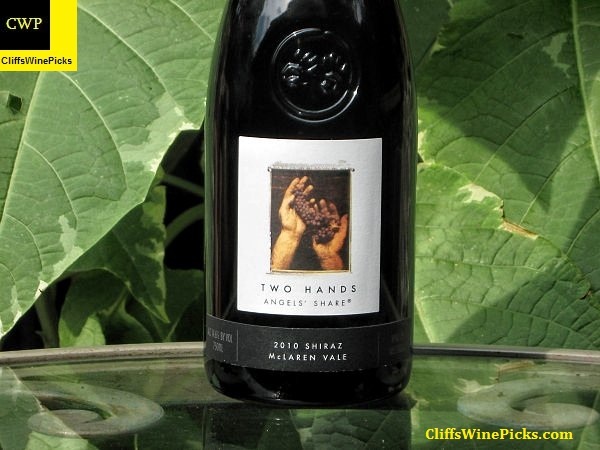 For this vintage, two-thirds of the fruit was destemmed, the remainder was whole-cluster. The wine was fermented with indigenous yeast. The wine was aged in all French oak with 26% being new. A total of 410 cases were produced. 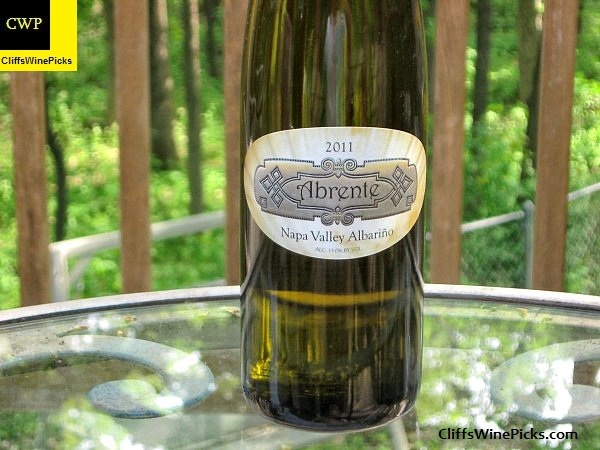 The fruit for this wine comes from the meticulously maintained Abba Vineyard owned and farmed by Phil Abba. The vineyard is on the east side of the Mokelumne River AVA. The winery also produces a top notch Grenache from this vineyard. Both are well worth tracking down. 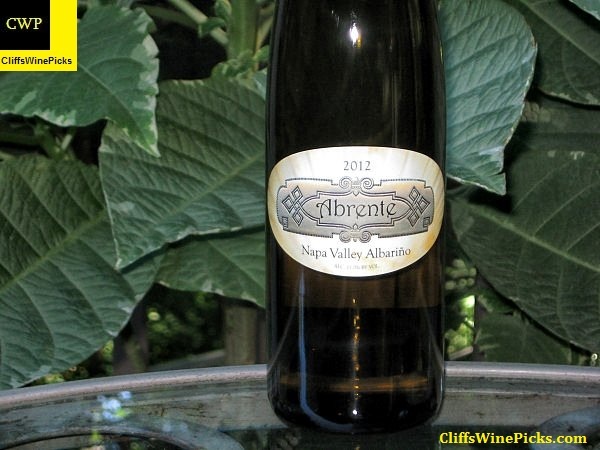 I tasted this wine in the vineyard with Phil Abba and winery owner/winemaker Mike McCay in late September and loved this wine. As soon as we returned to the Lodi Wine Visitor Center, I added a couple bottles to a case I was having shipped home. I’ve been a big fan of the Turley Cedarman Zinfandels for a number of years. 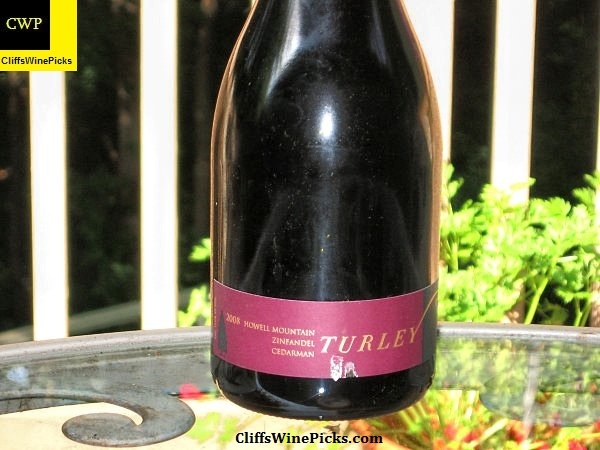 The mountain grown fruit always gives this wine a bit more backbone and a gritty edge. The mountain grown fruit also generally highlights the savory, peppery elements of the zinfandel grape. This has 15.6% alcohol by volume and the bottle is sealed with a natural cork. 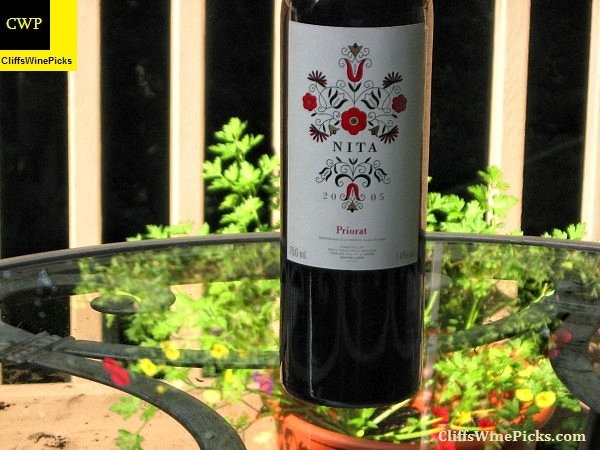 I’m a pretty big fan of wines from the Priorat region in Spain. 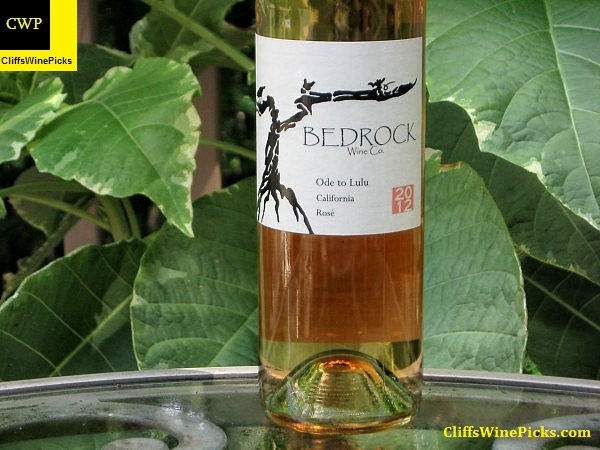 These wines are generally, like the region, on the rugged and rustic side. You will just about never hear one of these wines described as smooth and subtle. 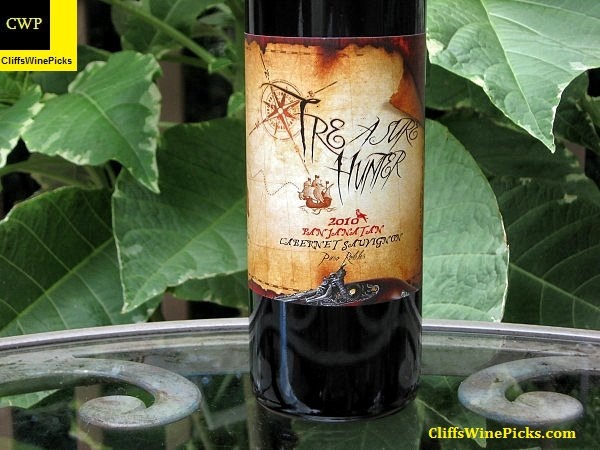 This is a blend of 45% Garnacha, 35% Carinena, 15% Cabernet Sauvignon, and 5% Syrah. 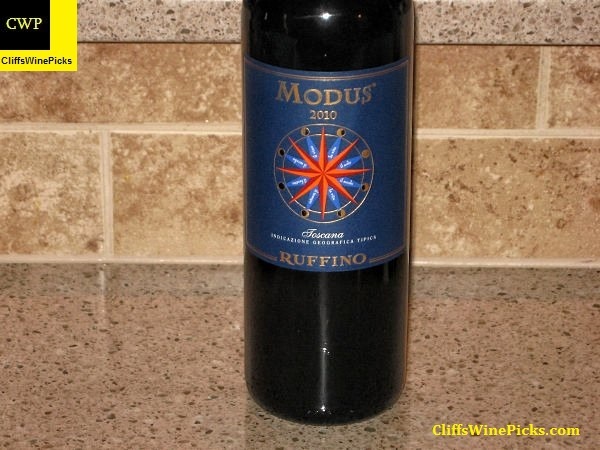 This has 14.0% alcohol by volume and the bottle is sealed with a natural cork. This wine, as well as the one from Bedrock is our go-to Summer rosés. I usually supplement my supply of rosés with other labels from the local wine store, but these two are our most consumed ones. This vintage is a blend of 70% Grenache and 30% Mourvèdre from Paso Robles. 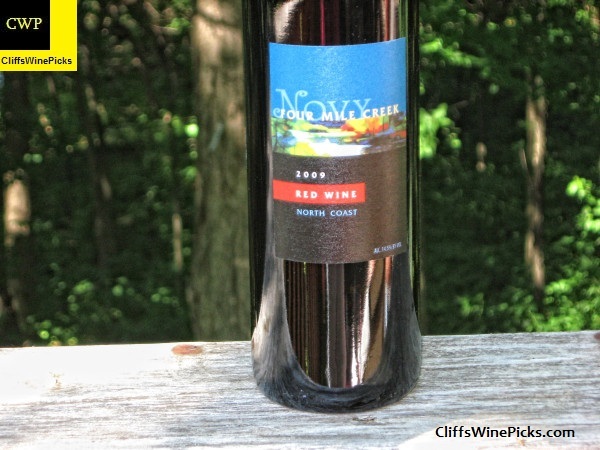 This wine has 13.2% alcohol by volume and the bottle is sealed with a natural cork. This has 13.0% alcohol and the bottle is sealed with a twist off closure. I used to be on the McPrice Myers mailing list but dropped off because the wines all seemed the same to me. These are big, full bodied, take no prisoner wines that just don’t match up to what I like to drink on a regular basis. This is a blend of 50% Syrah, 45% Grenache and 5% Mourvedre. I’ve been a fan of this wine for several vintages. 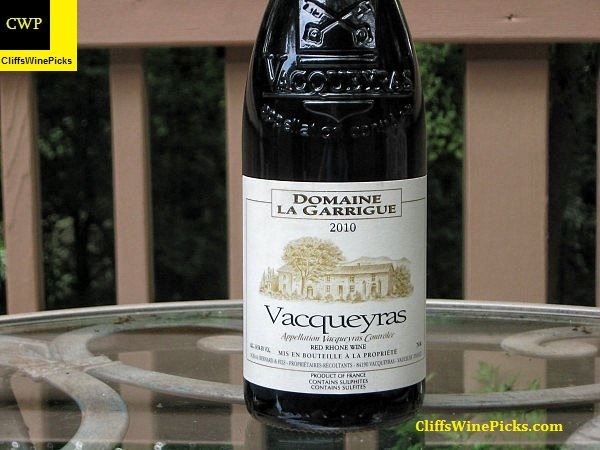 To me a nice Vacqueyras is a solid step up from a Côtes du Rhône but with only a slight increase in price. 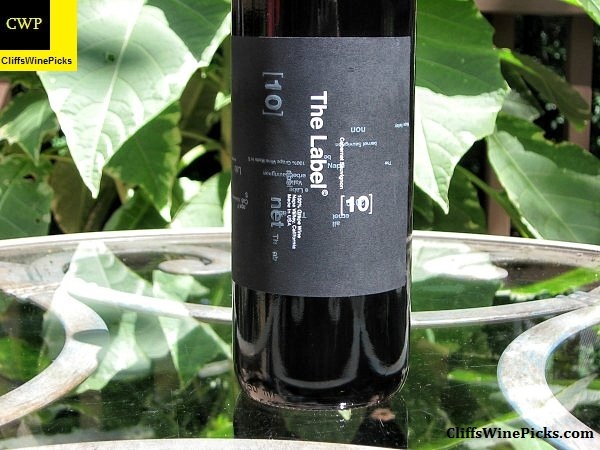 The wine has 14.5% alcohol by volume and the bottle is sealed with a natural cork. Domaine La Garrigue is set in the heart of the Vacqueyras appellation area (Southern Côtes du Rhône), in the Vaucluse department of France. The estate buildings are just 2.5 km from the main village, on a plateau called Les Garrigues. The estate was created in 1850, and has always been worked by the same family, spanning 6 generations. The Bernard family has always worked in respect of tradition, crafting authentic natural wines that are typical of the terroirs they came from. 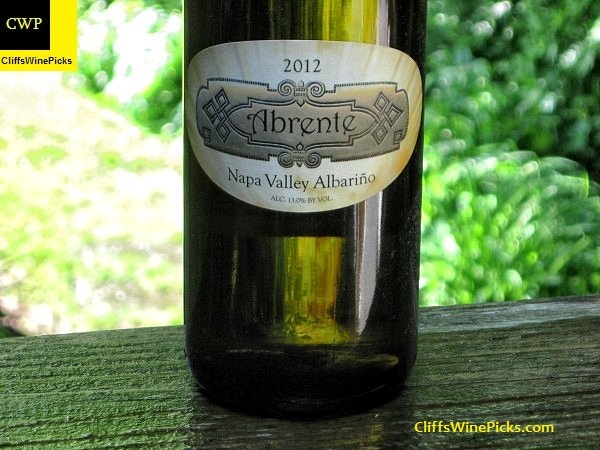 I had this wine on my list of the Top Value Wines of 2012. 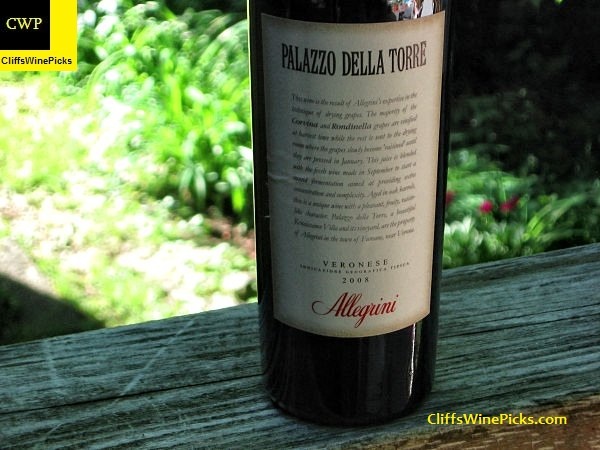 This is still a favorite with week night Italian fare, like tonight’s Veal Parmesan. I like the extra body and richness imparted by the drying of the grapes but the wine generally retains enough acidity to stand up to the tomato based sauces. This is also a personal favorite with a nice, meaty pizza. Perennially a value priced favorite. In this vintage, it seems to have a bit more oomph than most vintages. Perhaps there was a surplus of very good grapes from some of the better vineyards or some grapes headed for single vineyard wines were declassified. Either way, we’re the winners. This is a jammy, fruity blend of Zinfandel, Grenache, Syrah and Nebbiolo. What more can you ask for in a low cost, week night wine? 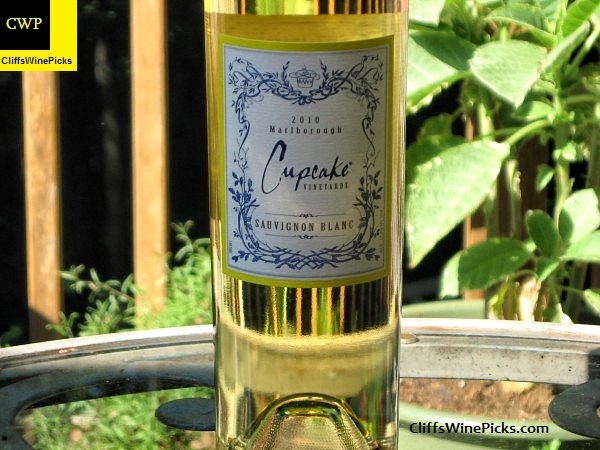 This one has nice juicy acidity and just a touch of sweetness to help it pair with a lighter, slightly spicy Summer meal on the deck or patio. We’ll be having this with a Crawfish Salad using a recipe from my Dutch friend, Hanneke Eerden. If you’re interested, the recipe and a link to Hanneke’s “The Dutchess Cooks” website are in an earlier post on this site. 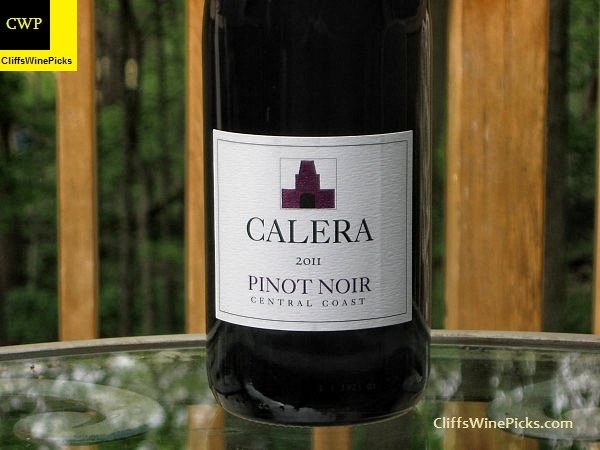 I’ve been a fan of the single vineyard Pinot Noirs from Calera for a few years. This will actually be my first appellation labeled wine from them. 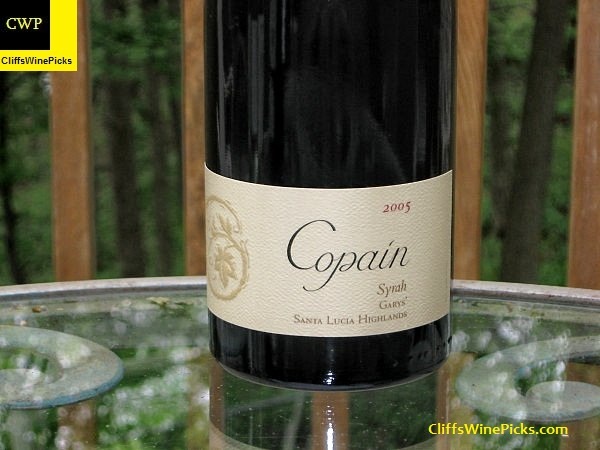 I’m a fan of both Copain’s Syrahs and the wines made with grapes from Garys’ Vineyard, but this wine always left me scratching my head. This wine included a high percentage of stems and the resulting vegetal notes always were too prominent. I kept hoping they would better integrate, but I think we just have to accept this will always have a stemmy note. It’s been about two years since my last bottle, I’m hoping for the best but feel otherwise. I’ve been a big fan of Jeff Ames’ Rudius label since the beginning. 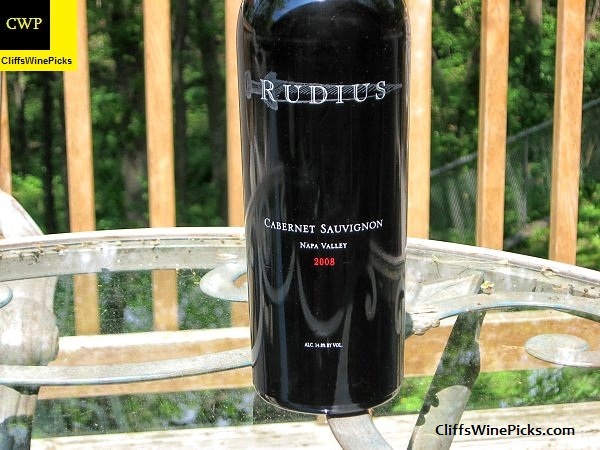 I don’t know the status of Jeff’s mailing list, but if you like very special wines at good prices, you should check them out at http://www.rudiuswines.com/. 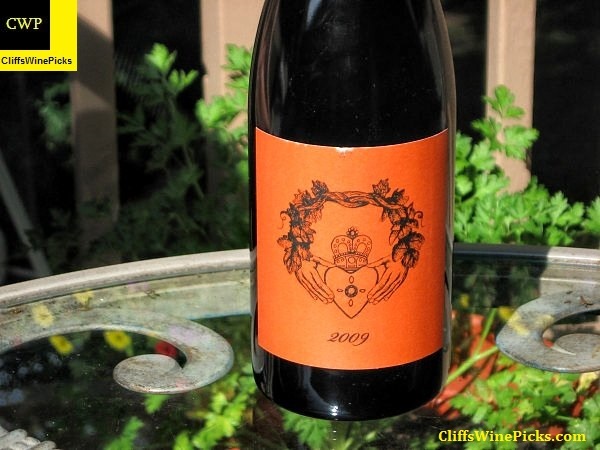 Besides Cabernets, Jeff has produced several outstanding wines with Rhone grapes. Growing up in Memphis and Mobile, Alabama in a family of lawyers, the thought of becoming a winemaker never occurred to Jeff Ames. But after deciding not to pursue his law degree, a part time job in a local wine shop in Memphis sparked his passion for wine. Soon after, in 1998, Jeff moved to Oregon on a whim—with no guarantee of a job—and lucked out when Lynn Penner-Ash gave him his first harvest job at Rex Hill. What started as a much-needed mental break from his Masters program, soon turned into an exciting new career. After harvest, Jeff couldn’t get enough of the wine business, and made the big move to the Napa Valley in 1999. After bouncing around the industry from tasting room jobs at Freemark Abbey, Flora Springs and Duckhorn, to freelance writing for Decanter Magazine, to sales at WineBid, Jeff finally got the break he was waiting for. In 2001, he was able to return to production—the side of the industry he has always loved most—when he became Thomas Brown’s assistant winemaker at brands including Schrader, Maybach, Outpost, and Tor. Two short years later, he took over as head winemaker at Tor, where he continues to make extraordinary wines from some of California’s most notable vineyards. Everything really came together for Jeff in 2005, when, after years of penny-pinching, he finally achieved his ultimate goal of starting his own wine brand—Rudius Wines. And the result, my friends, is what you have in your cellar!